It's the Sheldon Cooper apology tour! 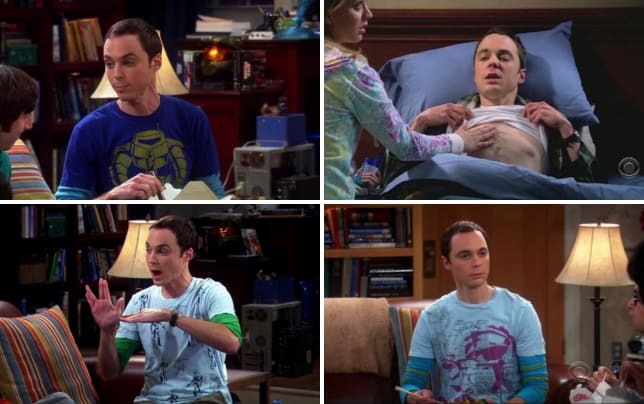 On The Big Bang Theory Season 9 Episode 13 Sheldon has to try to apologize to all of his friends who (surprise) he treated terribly while he was sick. No one wants to sing "Soft Kitty" to Sheldon when he acts ungrateful. One of the most important things we've seen happen on The Big Bang Theory Season 9 is a focus on Sheldon's character, specifically in the ways he continues to grow. He's taken important steps in his relationship with Amy, and now, he's working on his relationships with his friends. Honestly, at this point, I really wish it would be stated that Sheldon has autism. It's never been explicitly stated, but it's clear from so many of his traits that there's a reason for his behavior. In fact, if it would be stated, I think that would make us that much more empathetic to his character. Sheldon truly is trying here. Yes, it's funny, especially in all the ways he fails in his apologies – or you know, just makes them incredibly awkward. But it's also endearing. He may be a difficult person (Penny even goes so far as to call him a jerk) but as Sheldon tells Emily, he means well. That's why it's so enjoyable to watch him try out his apologies, which he really does put a lot of effort into. Hey, he even makes t-shirts! His friends get it. They're willing to accept his apologies, whether it's because they do see that effort or whether it's because they just want to stop talking about it. By the way, can we also talk about what amazing friends these are? Every single one of them did something to try to take care of Sheldon while he was sick. They weren't small gestures, either. 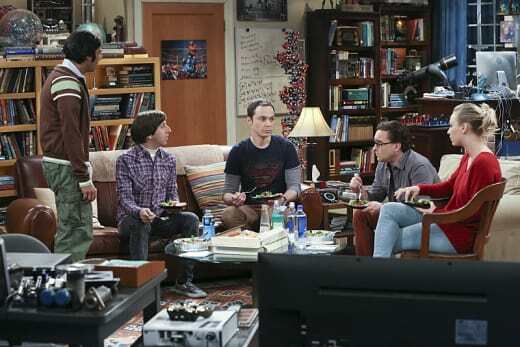 Meanwhile, Amy decides to stay at her conference a few extra days to avoid it altogether, but she ends up being the one who helps Sheldon understand how to be empathetic. Why don't you tell me what happened, and in a gentle and loving way, I'll explain to you why you're wrong. 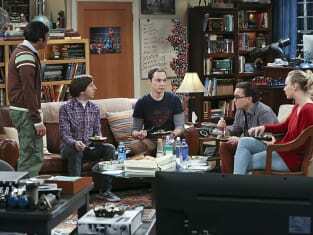 Sheldon is also willing to listen to her and learn from her, which speaks volumes about their relationship. I'm so glad they're back together! The bit at the beginning with the girls talking about superhero movies is one the funniest moments. What exactly is a trip to Vegas with all of these guys like? I'm not sure I can picture it, but it's something I really want to see! Emily is a character that continues to grow on me, despite that fact that I don't completely trust her. I hope laughter is the best medicine because this care package is a joke. Permalink: I hope laughter is the best medicine because this care package is a joke. Why isn't everyone happy? Your little ray of sunshine is ready to beam again! Permalink: Why isn't everyone happy? Your little ray of sunshine is ready to beam again!